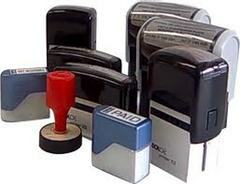 High-quality, self-inking stamps save time. Stamps are used on most everyone’s desk. Select a style, personalize, and order custom stamps with confidence. We have hundreds of templates to choose from, each with unique features for every need.